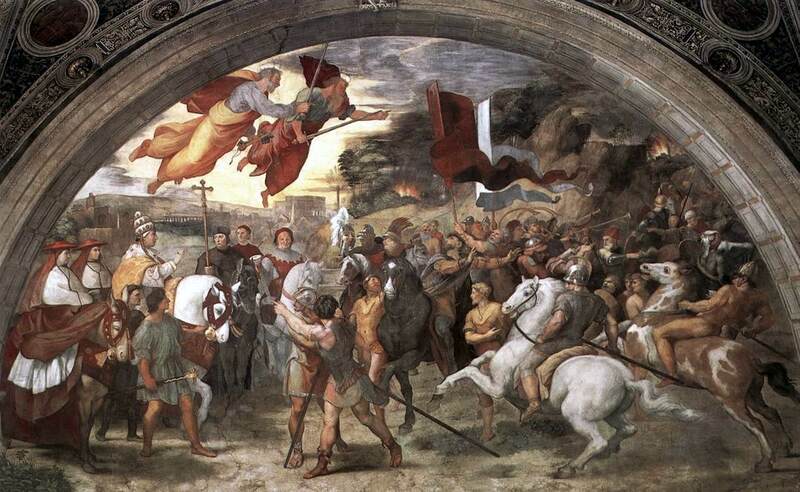 "the one like a Son of man received dominion, glory, and kingship; all peoples, nations, and languages serve him"
One of the things that priests are responsible for in this life is to preach, teach, equip with grace and send out all of our Catholic faithful to transform the world into a more perfect foretaste and promise of God's Kingdom. The results of that mission will be subject to the judgment of Jesus Christ, the King of the Universe, when He comes back to judge the living and the dead, but until then we must always follow our consciences and try with the Lord's grace to do the Father's holy will in all things through the Holy Spirit who strengthens us. Those of you who battled long lines at the stores this weekend because you believed the advertising promises that you would find door-busting deals at the stores perhaps, in some cases, came away disappointed. Some of you may have come away from your so-called "Black Friday weekend" experiences feeling that it felt more like the traffic jams of a daily commute to work than a step forward in preparation for Christmas gift-giving. As people of faith, we are called to recognize the role of God in all that we do through the power of that grace. With all of the details that fill our earthly lives, we are called at the same time to be people bound for heaven, "in the world, but not of the world". Our beautiful liturgical celebration of the universal kingship of Jesus Christ at our Masses today is a reminder of the presence of this kingdom in the world primarily because of the Church, the Body of Christ, into which we have all been baptized. The Lord's Day is God's invitation every week to renew ourselves and our baptismal call to be active members of the Kingdom by desire and intention, to orient all that we do toward the eternal life to come because of who we know ourselves to be by Faith and baptism. Next Sunday we will begin the season of Advent. It will be a fresh start in the life of grace. Have you been letting shopping and other optional things get in the way of the one thing that will last? Make a fresh start, especially by observing the Father's will on the Lord's Day each week, restoring relationshiops with God and others by celebrating holy Mass here with the Kingdom in our midst, and avoiding less important activities in order to spend more time at home with the family. Thanksgiving Day: "Pray constantly, always and for everything giving thanks"
I give thanks to my God always on your account for the grace of God bestowed on you in Christ Jesus, that in him you were enriched in every way, with all discourse and all knowledge, as the testimony to Christ was confirmed among you, so that you are not lacking in any spiritual gift as you wait for the revelation of our Lord Jesus Christ. "My house shall be a house of prayer"
When Jesus prays he is already teaching us how to pray. His prayer to his Father is the theological path (the path of faith, hope, and charity) of our prayer to God. But the Gospel also gives us Jesus' explicit teaching on prayer. Like a wise teacher he takes hold of us where we are and leads us progressively toward the Father. Addressing the crowds following him, Jesus builds on what they already know of prayer from the Old Covenant and opens to them the newness of the coming Kingdom. Then he reveals this newness to them in parables. Finally, he will speak openly of the Father and the Holy Spirit to his disciples who will be the teachers of prayer in his Church. Presentation of the Blessed Virgin Mary: "the living creatures give glory and honor and thanks"
Tiziano - Presentazione al Tempio (dettaglio), ca. 1538. Gallerie dall'Accademia a Venezia. "For almighty God. . ., because he is supremely good, would never allow any evil whatsoever to exist in his works if he were not so all-powerful and good as to cause good to emerge from evil itself." When we contemplate the blessings of faith even now, as if gazing at a reflection in a mirror, it is as if we already possessed the wonderful things which our faith assures us we shall one day enjoy. As many of you know I served on active duty in the Navy for a number of years and for three of those years aboard the aircraft carrier USS Dwight D Eisenhower, the "IKE", as Catholic chaplain. With all of the ship's crew and air squadrons aboard, the population of the ship numbered about 5,000 men and women: a veritable "city at sea". The mission? Catch and launch aircraft. In order to accomplish that mission all hands of the ship's company had to be employed in serving the needs of the ship, in protecting the ship. As a member of the ship's company I was expected, just like everyone else, to report to my battle station when necessary following the proper route in the required amount of time and reporting for whatever mission was necessary to defend and protect the ship. My prayers, the Mass, all of my duties as a priest had to be deferred in the event the needs of the ship and her mission required my cooperation in a fire drill, a man overboard drill or a damage control scenario. The contours, the rhythms, all of the aspects of our lives were determined by the needs of the ship because we were on board for that purpose. Some of you may also know that the Church is sometimes called a "ship": the barque of Peter, so called. This image helps us to situate ourselves in today's Scripture readings which remind us that the world will one day end and God will judge the living and the dead, an article of our Faith which we recite in the Creed at every Mass on the Lord's Day and on other occasions. Faith can be lost because it is a gift freely given which must be freely received. Thus the life of Faith is often described as a battle. 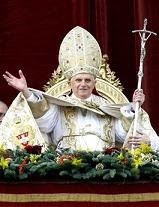 We need weapons with which to fight if we are to be successful in the battle for faith and to persevere until the end. We wage with the Church against the powers of darkness because the Church is the Body of Christ in the world. The world as we know it is passing away. We have tragic reminders of this all the time, including the evil reality of war which we see brewing right now in the Holy Land where Jesus lived, died and rose again. We pray that lovers of peace will prevail in this and in every conflict so that further violence can be averted and lives may be protected from hate, violence and suffering. But self defense is necessary for nations just as for individuals, hence my mission on the IKE together with all my fellow Sailors on board. "You will show me the path to life, fullness of joys in your presence, the delights at your right hand forever." In the Church, though in some ways much like a ship as we journey together from here to eternity, we see a different process at work: we do not live in the Church for the sake of the Church but, rather, the Church exists, as the Body of Christ our Savior in the world, for us: for the sake of our eternal salvation. Jesus Christ is at work in His Church through the sacramental life and the order of grace to serve our salvation through forgiveness of sins by speaking to us through the Spirit in the Word proclaimed and giving Himself to us truly and substantially present in the Eucharist. We need only accept the gift of Christ and His mercy in order to prepare with serenity and confidence for that final fateful day when the world will end the Lord will come as judge of the living and the dead. "... they will see 'the Son of Man coming in the clouds' with great power and glory, and then he will send out the angels and gather his elect"
How do we defend ourselves and the gift of Faith in the best way? How can we prepare well and grow in the security that comes with God's mercy and holiness? Devotional love and the pious customs of our Church help us to give ourselves and to live our Faith beyond the minimum, investing ourselves in a deeper and more sincere manner and living our Faith in an intense way so that its power through grace will help us in temptation, in doubt, in weakness. How much is it worth to save a soul? Every soul, yours and mine, is infinite in worth because every human person is made in God's image and likeness, which includes the gift of an immortal soul. How then do we effectively protect the infinite gift of the soul in cooperation with the gifts of Christ in His Church? now he waits until his enemies are made his footstool. For by one offering he has made perfect forever those who are being consecrated." 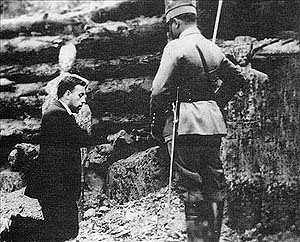 Many of you already pray the Rosary, kneel in prayer before Mass or help to maintain an atmosphere of quiet and recollection so others may do so, as well as other practices. Why are these devotions worth keeping and handing on? Are there others that we can use which will help us? Prayer after Mass in thanksgiving for the gift of the Lord in the Eucharist, arriving early for Mass with time to better mentally and spiritually prepare before Mass begins, following the prayers of the Mass with care and making an attempt to pray along and to sing, bowing profoundly before receiving Communion if we choose to do so standing, dressing appropriately by avoiding use of our most casual clothing, all of these help us to celebrate the Eucharist worthily, attentively and devoutly. There is no lack of helps for us through our Faith to prepare well for that great day when we will see the Lord Himself "coming on the clouds of heaven". Growing in love now through greater devotion assures us that we will see him look upon us with mercy because we are no longer strangers but His friends and welcomed as such into the heavenly dwelling place He has prepared for us. "At that time your people shall escape, everyone who is found written in the book." Let our names be written in the Book of Life because we have been found willing to defend our Faith with courage and to persevere until the end. Amen. be peaceable, considerate, exercising all graciousness toward everyone. 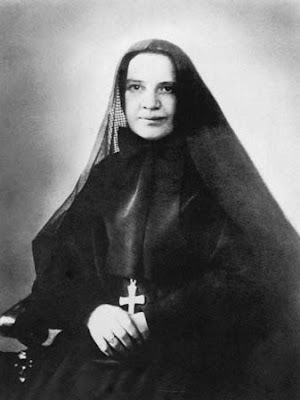 Saint Frances Xavier Cabrini: "Whoever seeks to preserve his life will lose it"
but whoever loses it will save it. I tell you, on that night there will be two people in one bed; one will be taken, the other left. And there will be two women grinding meal together; one will be taken, the other left. Death puts an end to human life as the time open to either accepting or rejecting the divine grace manifested in Christ. The New Testament speaks of judgment primarily in its aspect of the final encounter with Christ in his second coming, but also repeatedly affirms that each will be rewarded immediately after death in accordance with his works and faith. 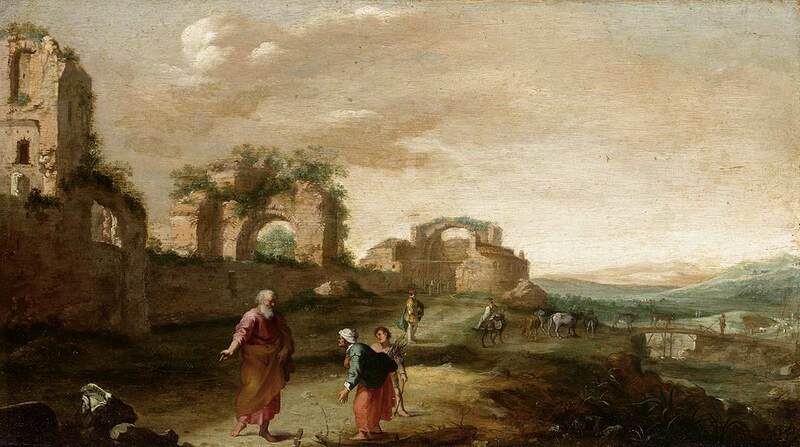 The parable of the poor man Lazarus and the words of Christ on the cross to the good thief, as well as other New Testament texts speak of a final destiny of the soul -- a destiny which can be different for some and for others. St Josaphat, bishop and martyr: "grace was given to each of us"
... according to the measure of Christ's gift. "Just now I was collecting a couple of sticks, to go in and prepare something for myself and my son; when we have eaten it, we shall die." The "backstories" of the widows in today's Scripture readings tie their lives to our own experiences. Tragedies such as the death of a spouse or a child and setbacks such as joblessness, homelessness and other privations in this world such as we see for those who have suffered through another natural disaster this week can serve to be of great value for us despite, and because of, the physical suffering they bring. The widow is faithful in giving of herself through worship in the temple despite her personal tragedies and trials, an example for family and others. She could be out collecting sticks, begging or working for food, working very hard to make sure she has some food or money for tomorrow. Instead, she is in the temple? Praying? This is not very practical at all! 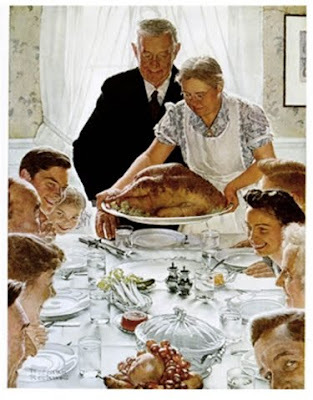 "Amen, I say to you, this poor widow put in more than all the other contributors to the treasury." Her offering is a symbol, a sign of the greatest gift: that of self which must begin with God before truly available for others. Her faith, hope and love frees her for living authentically: a daily relationship of trust in God's providential care. We suffer through great betrayals of God and others in this world. Will we learn by these unwanted and distasteful circumstances to put God first through faith? The widow's mite showed her true "might": she has already learned and lives from what she learned, that "the world as we know it is passing away". She gives to God as if completely unconcerned about the needs of tomorrow not recklessly but in generous love, knowing she already possesses the treasure for her which is more precious than all others, even the sure knowledge of the certainty of another meal. "For they have all contributed from their surplus wealth, but she, from her poverty, has contributed all she had, her whole livelihood." Will we learn the lesson of the widow, and live with her "might", as strength that comes from God for the sake of self and others, the gifts of faith, hope and love? We have here a greater gift by far than the worship of the temple: we have the Temple not made by human hands, "destroyed in three days and raised up", the Lord himself, Jesus Christ in Word proclaimed and truly present in Sacrament. How well can we learn from the example of the widow to love and worship Him here and then to go forth to love and serve him in all of our brothers and sisters, born and pre-born? This is the spiritual sacrifice He desires and makes possible through the gift of Himself here. This is the true worship of faith, hope and love that saves! St. Leo the Great: "You are the Christ, the Son of the living God"
“For flesh and blood has not revealed this to you, but my heavenly Father. And so I say to you, you are Peter, and upon this rock I will build my Church, and the gates of hell shall not prevail against it. I will give you the keys of the Kingdom of heaven." Dedication of the Lateran Basilica: "I saw water"
The worship "in Spirit and in truth"of the New Covenant is not tied exclusively to any one place. The whole earth is sacred and entrusted to the children of men. What matters above all is that, when the faithful assemble in the same place, they are the "living stones," gathered to be "built into a spiritual house." 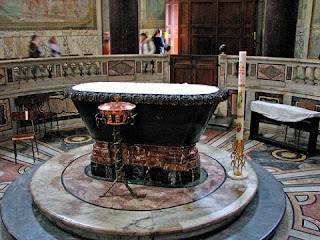 For the Body of the risen Christ is the spiritual temple from which the source of living water springs forth: incorporated into Christ by the Holy Spirit, "we are the temple of the living God." "...work out your salvation with fear and trembling"
Work out your own salvation with fear and trembling; for God is at work in you, both to will and to work for his good pleasure. There is no burden greater than the death of a loved one. But as great as this burden is for you and me to bear, greater by far is the heavy weight of the knowledge that everyone must meet and God and undergo the particular judgment that awaits each of us. Love for the dead, then, must take this heavy weight into account, and express itself in heartfelt and regular prayer for the faithful departed. "For my yoke is easy and my burden light." The weight of the cross which we bear as we face our own death or the death of loved ones is made easy through the mercy of Christ who dies on the Cross for love of us. His divine graces flow abundantly to us as we approach in sorrow for our sins. The Mass is the meeting place between the mercy of the Cross and the repentant sinner who knows he must die and take account of his sins. 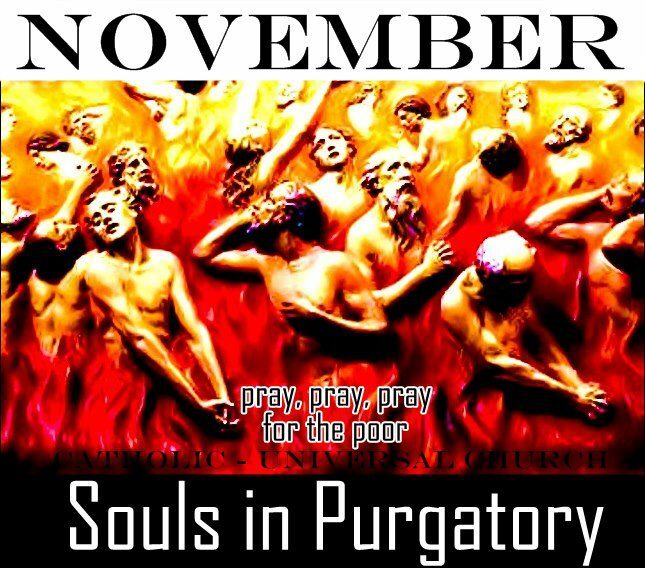 "The souls of the just are in the hand of God, and no torment shall touch them." Thus we are able to confidently approach the throne of God in every holy Mass, in prayer for all who have died, commending them to the infinite mercy of God. 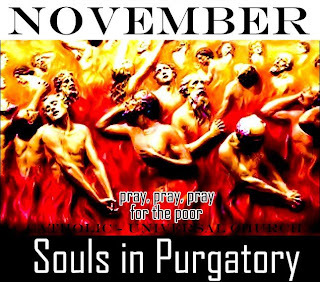 All Souls: "The souls of the just are in the hand of God." As gold in the furnace, he proved them, and as sacrificial offerings he took them to himself. Then, we pray [in the anaphora] for the holy fathers and bishops who have fallen asleep, and in general for all who have fallen asleep before us, in the belief that it is a great benefit to the souls on whose behalf the supplication is offered, while the holy and tremendous Victim is present. . . . By offering to God our supplications for those who have fallen asleep, if they have sinned, we . . . offer Christ sacrificed for the sins of all, and so render favorable, for them and for us, the God who loves man. 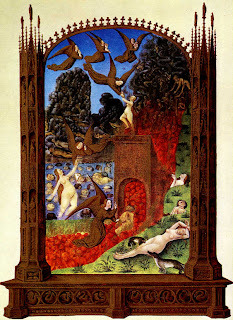 Art: Purgatory, Les Très Riches Heures du Duc de Berry. 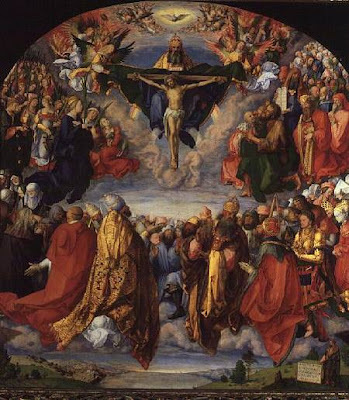 Solemnity of All Saints: "I had a vision of a great multitude." For MCITL reflection for the Solemnity of All Saints click here. Art: Albrecht Duerer(1471 - 1528. The Landauer Altarpiece, Vienna, Kunsthistorisches Museum.